One of my absolute favorite traits of my clients, is that they’re craving a more “off the beaten path” type of wedding day with many choosing elopement style or intimate celebrations. With that in mind, I’ve opted to make any inspiration shoot I do, a viable option for the type of day they’re already planning. Since my tribe and I have a shared love of all things Disney, I started dreaming up some elopement inspiration shoots when I was making plans for my January trip to Walt Disney World. I had two particular ideas in mind, so I ran a poll on Instagram to help me decide which one to arrange, and my followers told me they wanted Peter Pan! With the help of some fabulous vendors in Houston, and some magical vendors in Orlando, we were able to create a fun Neverland inspired shoot at one of my absolute favorite resorts on Walt Disney World property, Disney’s Caribbean Beach Resort. Imagine you and your fiancé book yourselves a Memories or Escape collection wedding and you know you want to plan a unique post ceremony photo session to mark the celebration of the day. This shoot is for you! I knew I wanted it to be elegant, but still very joyful and whimsical, and I think we nailed it. I also knew I wanted to trend set (at least a little) which is why I was so freakin excited when Natalie over at Renegade Bridal sent me to Florida with the epic emerald green sequin dress you’re about to lay your eyes on! Ladies, you DO NOT have to wear white on your wedding day…just sayin. You’ll also see that we strayed from a traditional bridal bouquet, instead incorporating a lantern adorned with floral vine from Flower Girl Designs. Real life couple Breanna and Zach drove over from Tampa to model for me. There was no loss of enthusiasm when I mentioned that hair and makeup would start at 5am. Disney brides will know this; the available ceremony times often require really early hair and makeup start times, so this is not out of the ordinary. To counter the time of day, we just upped our coffee game! Amanda from Bella Con Stile’ made an already perfect Breanna even more stunning with hair and makeup inspired by Disney’s animated version of Peter Pan. You guys! She actually watched the movie and came up with a reimagined version of Wendy’s hair! (You’re heart just melted didn’t it?!) With a brush of the prettiest shade of lipstick and the donning of her dress, we were off to Neverland. Disney’s Caribbean Beach Resort is beautiful in a fun, adventurous kind of way. It’s colorful, and I swear it sparkles in the sunshine. Plus, I love the beaches. We spent the first part of the shoot on Caribbean Cay, a small island in the resort’s Barefoot Bay. This little island is lush with palm trees, has wooden walkways, stone walls, and even some antique canons. After our time on the Cay, we headed over to the Trinidad area to play in the sand and have some swashbuckling fun. If you’re planning a Disney Fairy Tale Wedding and are considering going with outside photography, I’d love to talk with you about my special Disney packages. My own Prince Charming and I are a Disney Wedding couple (we had a Wishes wedding with our ceremony at the Disney Yacht Club Wedding Gazebo and our reception at Ariel’s at Disney’s Beach Club Resort) so I am familiar with the process from the couple’s point of view. I was also a Disney Cast Member for 2+ years, so I love having that intimate knowledge about all things Disney! 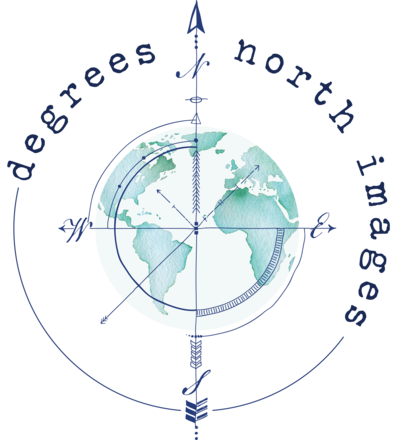 Send an email over to dawn@degreesnorthimages.com and let’s talk magical photos! Handpainted Ring Box / Jenn Heller Design Co.
What a magical theme, and stunning photography! Can’t wait to show this to my Disney-loving friends! A Disney wedding without a single princess to be found. High fives all around for something truly novel! This is wonderful! I would love to do a Brave themed wedding!! Brave would be beautiful! I think my spirit princess is a mix of Belle, Moana and Merida.